I always have a great experience with this restaurant, delicery is always on time or early, and the food is always fresh. They accidentally sent me the wrong order once but redelivered the correct order and even let me keep what was sent before, amazing customer service, always highly recommended! I ordered beef soup, nachos, and 3 beef tacos. Everything tasted great. If ur looking 4 Taco Bell this is not it. It's authentic spicy Mexican food. I liked it. The food from here is always great. And gets to me fast. I have no complaints. The chicken salad I got today was so good!! Thank you. So far I have no complaints. The food was delicious and delivery on time. I will be ordering from here more often! Food delivery was early....Food was hot, fresh, and delish....will be ordering again. The delivery came ahead of schedule which is great. The food was wonderful and the prices are great. I'm a very picky eater and they followed my special instructions. I will definitely be ordering from here again and will recommend to others. Thank you for the awesome service and food!!! I love it! Everything is fresh, hot, and delicious! Thank you! The tacos were soooooo good and the delivery was super fast! 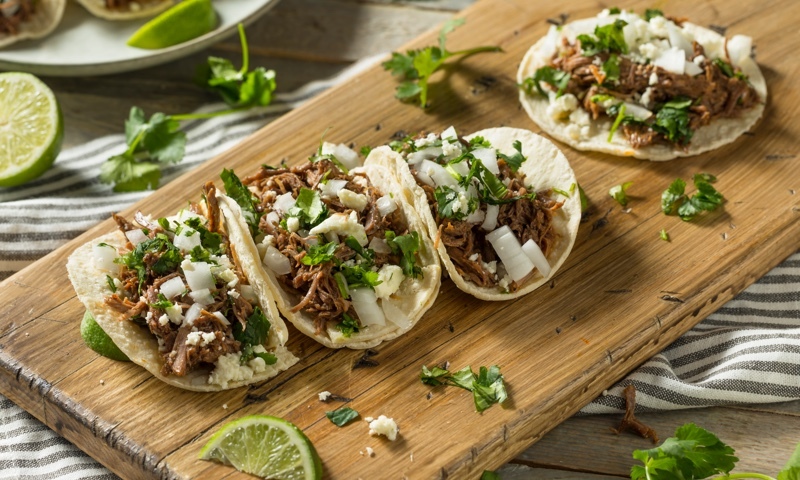 Whether you're craving a quick bite or looking to treat yourself to a delicious meal, you can now order your Taco Rey Restaurant #2 favorites for takeout or delivery.